"Presence, as I mean it, is the state of being attuned to and being able to comfortably express our true thoughts, feelings, value and potential. That’s it. It is not a permanent, transcendent mode of being. It comes and goes." 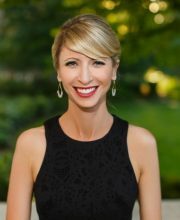 Amy Cuddy has achieved the seemingly difficult task of outlining scientific research in an inspirational and exquisitely written book, Presence: Bringing Your Boldest Self to Your Biggest Challenges, where her powerful storytelling and well documented research begin to question many outdated psychological concepts. We all suffer from insecurities; lacking the power to appear confident during stressful situations, sometimes after traumatic experiences. Cuddy discusses a new way at looking at mind-body connection that is both fascinating and inspirational, but also powerful and easily applicable to all of us. Developing presence gives us the skills to improve our lives profoundly and Cuddy eloquently discusses techniques to enable us to become more powerful and free of anxiety. "The self can, presumably be anything you want it to be. It can even be new, but that doesn't make it insincere or inauthentic. It suggests that you can think of yourself in a certain way and then take steps to bring that self into existence." Cuddy discusses the effect that powerlessness has on our psyche. It makes us unwilling to face challenges and retreat into ourselves and, naturally, our bodies, clasping our hands: crossing our arms, crouching and taking up the least amount of space we possibly can. When we feel powerful, for instance after winning an athletic event, we tend to raise our arms and extend our bodies, which is referred to as the power position. Cuddy’s research has developed this observation by switching this concept on its head and trying to answer whether feelings and behaviours can be bidirectional. In other words, can we become more powerful by changing our body postures and vice versa, can we behave less powerfully after assuming weak poses? The research has demonstrated unequivocally that this is indeed the case. Furthermore, hormones, cortisol and testosterone levels significantly altered after simple priming experiments. Subjects were asked to adapt body posture changes in a positive manner (power positions) and negative (low power positions). The New Zealand rugby team, world cup winners, take power posing to an ultimate level with the pre match “haka”: a chest thumping, thigh slapping display of dominance and power building. They have been almost unbeatable for several decades. The salient point, I believe, is that we both need not only to consider taking up power positions before and during stressful events, but more importantly we as a society need to stop assuming low power positions because we do them constantly. Classic low power poses are now the norm in public places, at least in Western society, where everyone is huddled over their smartphones or the equivalent, which Cuddy calls the iHunch. If you want to feel more powerful and connected, put away your phone, straighten yourself out and expand your stance, at least every hour. "Self-nudges are minimal modifications to one's own body language and/or mindset that are intended to produce small psychological and behavioural improvements in the moment. They are tiny tweaks with the potential to, over time, lead to big changes." As many of us are aware, New Year’s resolutions nearly always fail, mainly because they are too ambitious or are based on negative behaviours. Cuddy advocates baby steps, or self-nudges, to improve our presence. Considering the notion that “our behaviour reinforces our behaviour in multiple ways”, we initially need to change and reflect on our previous courageous behaviours when we are faced with stressful situations and reinforce our internal belief. Adapt power pose behaviours to avoid mind-mind negative self-talk. Dress to feel comfortable or to achieve a role, e.g. donning a doctor’s coat. Make small scale commitment to achieve a bigger goal, such as going for small runs instead of chastising yourself for not running at all. Switch from a self-defeating anxiety state where you begin to tell yourself to calm down to one of belief of being excited. Imagine approaching situations with confidence and excitement instead of dread and anxiety, imagine feeling free of ridicule and judgement and being satisfied you did your best. Self-nudging can also be used in education. Simply reading a passage about personality not being set in stone as opposed to reading about athletic malleability markedly reduces depression levels in teenage children. Imagine yourself in the future and approach investment/financial decisions after viewing an age enhanced picture of yourself. Self-nudges work because pleasure builds on pleasure, power upon power and presence upon presence. "I take a pragmatic view: the authentic self is an experience—a state, not a trait. … I think of it as the experience of knowing and feeling that you're being your most sincere and courageous self." Many people struggle with depression and self-doubt, or even the impostor syndrome. Self-affirmation theories have been discussed before; when we get to a deeper part of self-affirmation, our “core” values and truly understand them and what they mean to us, we have a powerful technique of developing more presence. What three words describe you as an individual? What is unique about you that leads to your happiest times? Reflect on times when you were acting in a way that felt natural and right. How can you repeat that behaviour today? What are your signature strengths and how can we use them? We must trust and believe our story implicitly. If you don’t then who will? Cuddy discusses research where subjects performed better after spending time reflecting on and or perhaps writing about who they think they are. It’s about clarifying your story to yourself and allowing you to trust that the “real” you will come through naturally. An actionable step for business is to get potential employees to discuss their authentic best selves with other inductees as well as other employees. By finding, believing, expressing and engaging our best selves—especially right before our biggest challenges—we reduce our anxiety about social rejection and increase our capacity to be open to others.